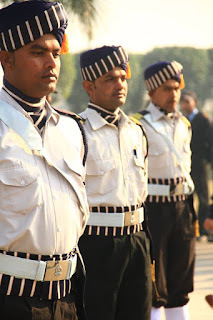 Manned guarding implies providing guarding services in client premises against unauthorized access or occupation and guarding property against destruction and damage. Growing incidences of terrorist attacks, crimes and high pace of infrastructure development has led to significant demand for security service personnel. A security guard on duty can often be enough of a deterrent to prevent anyone planning to trespass, or any other security issues. 1- It provides visual deterrent from crime, trespassing and vandalism events. 2- Incidents reported by a human are considered genuine and not false alarms. 3- An on-site response to water, gas or electricity faults. 4- Quick general inspection and management services. 5- Real-time surveying of CCTV footage. 7- Manned guards are more alert to a possible breach of security.